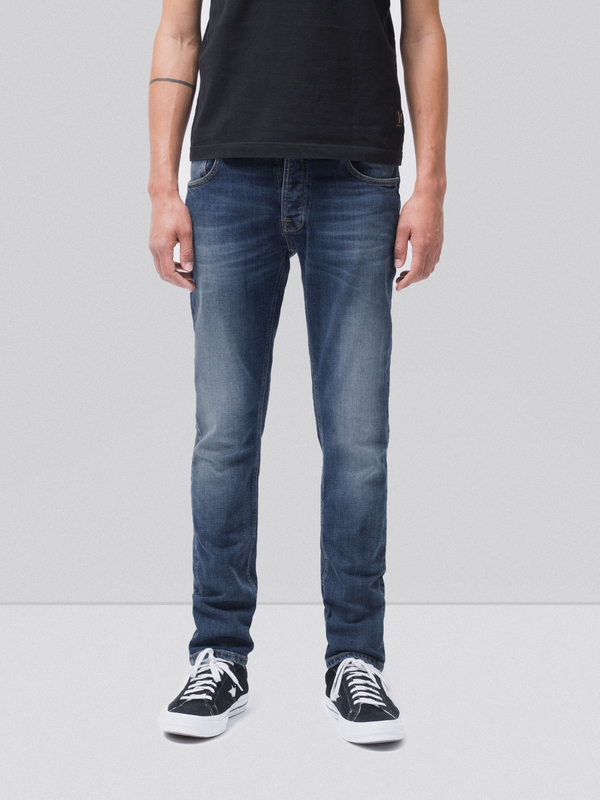 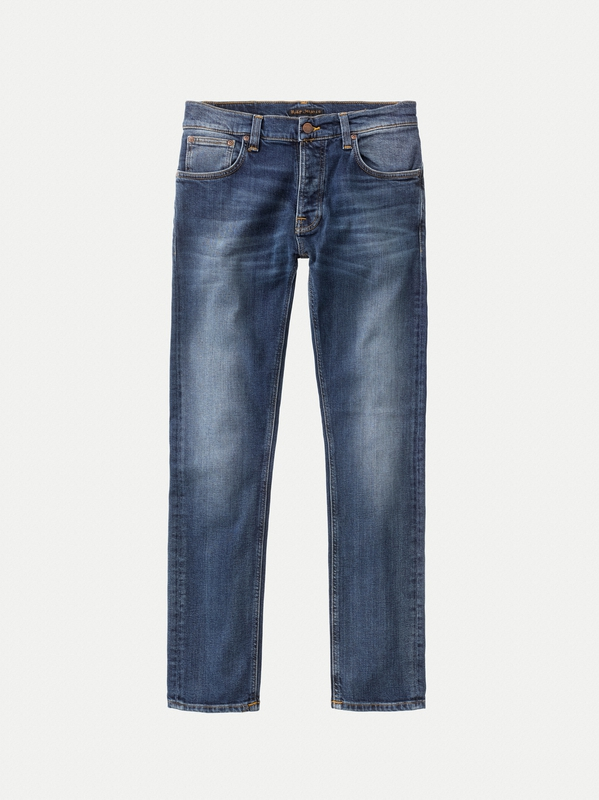 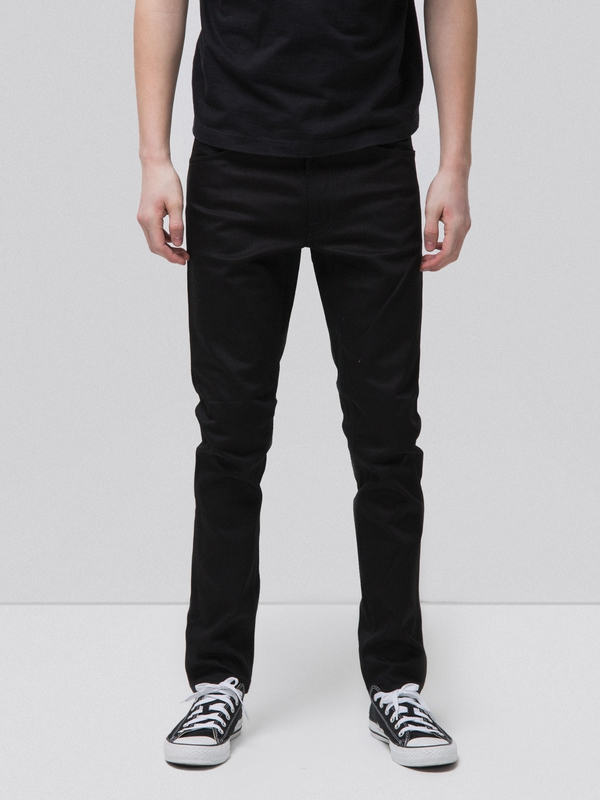 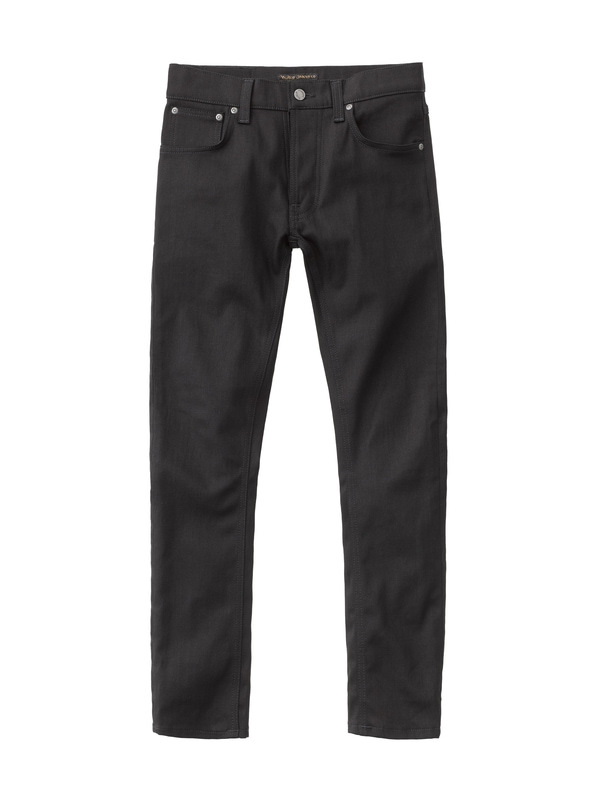 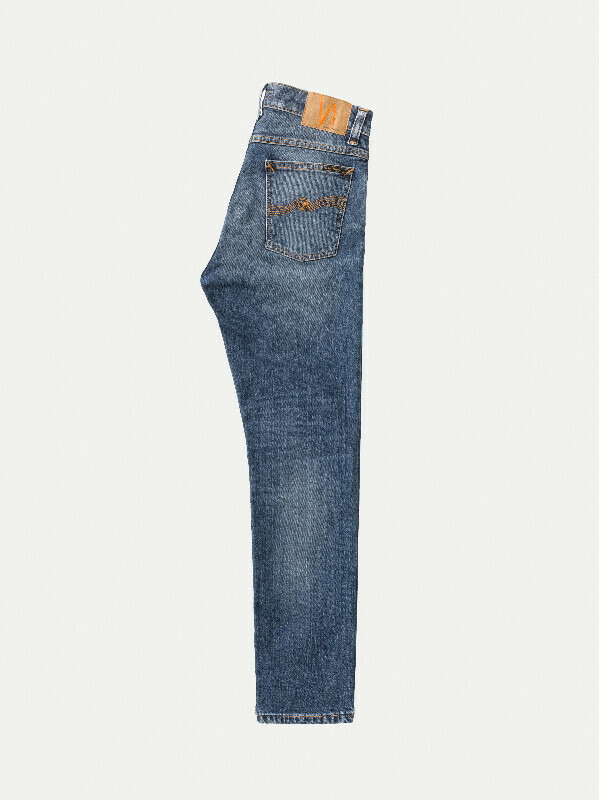 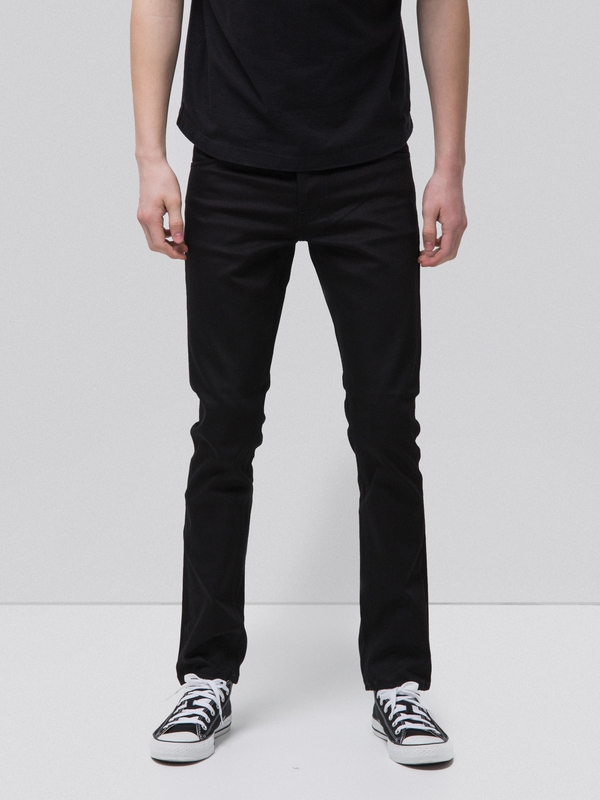 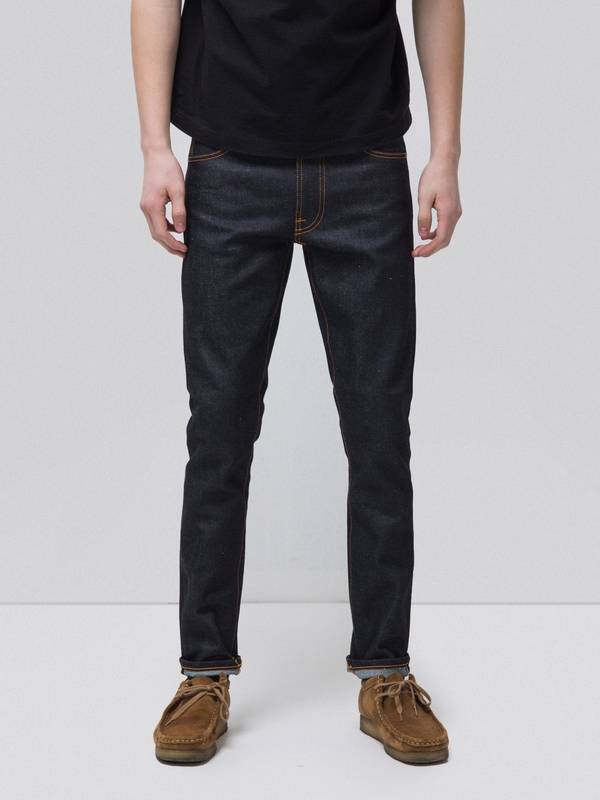 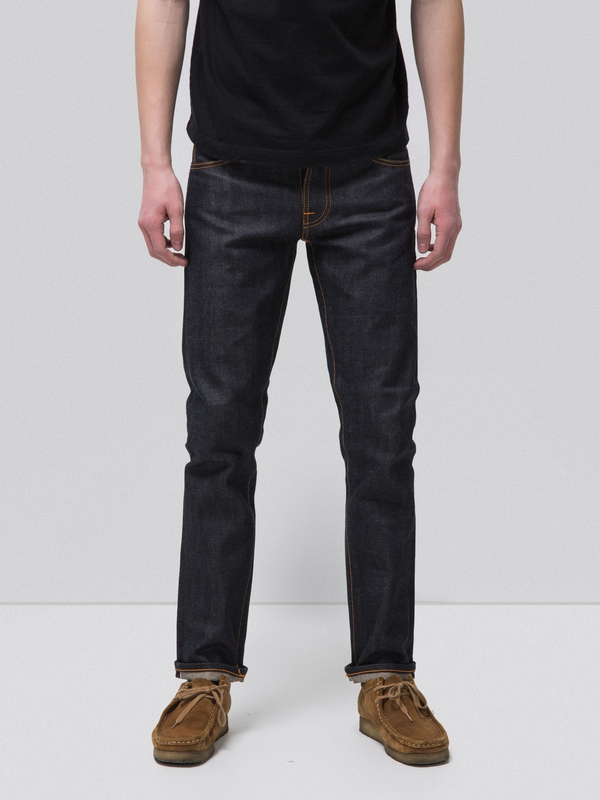 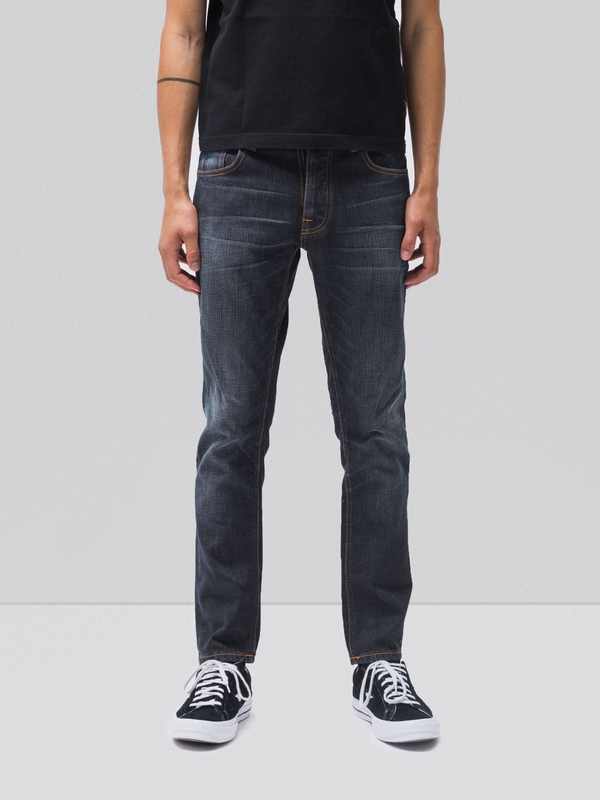 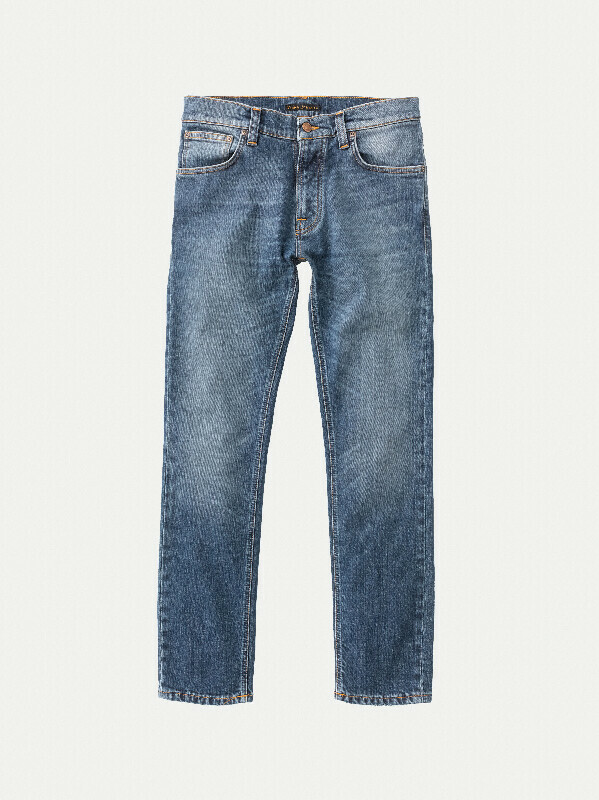 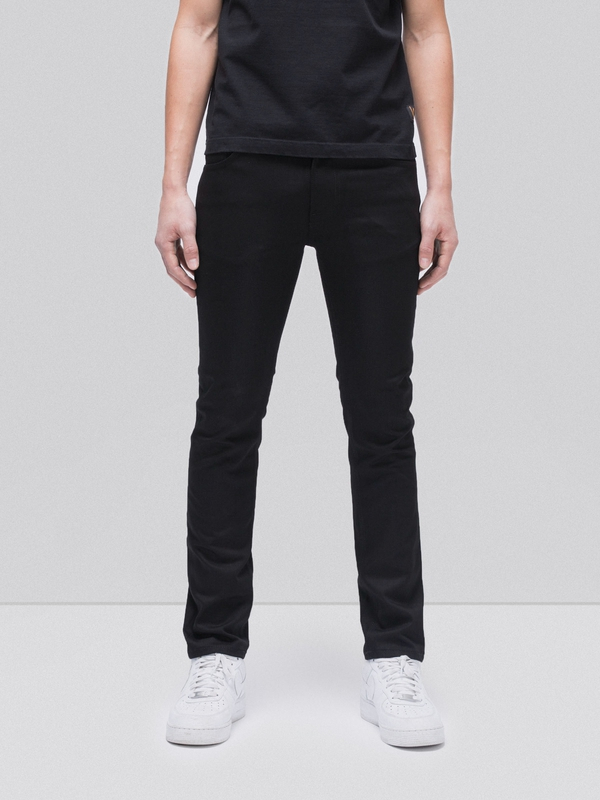 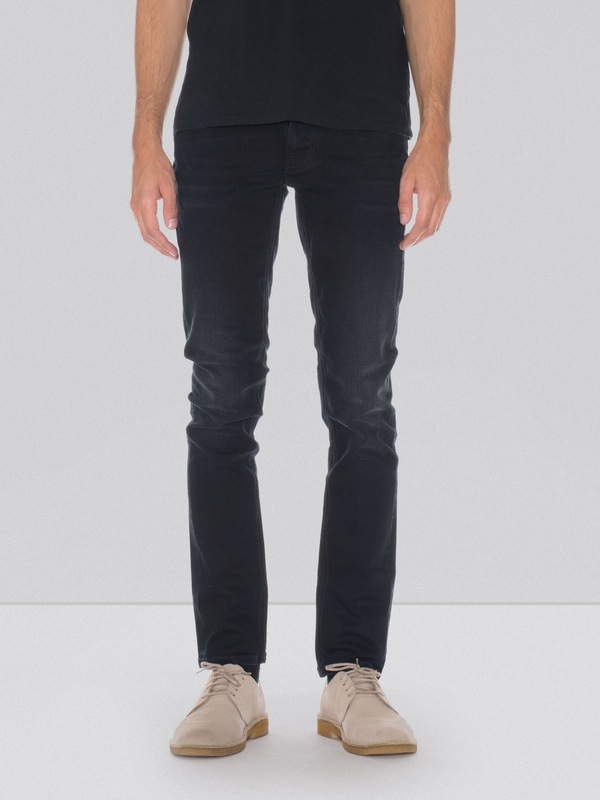 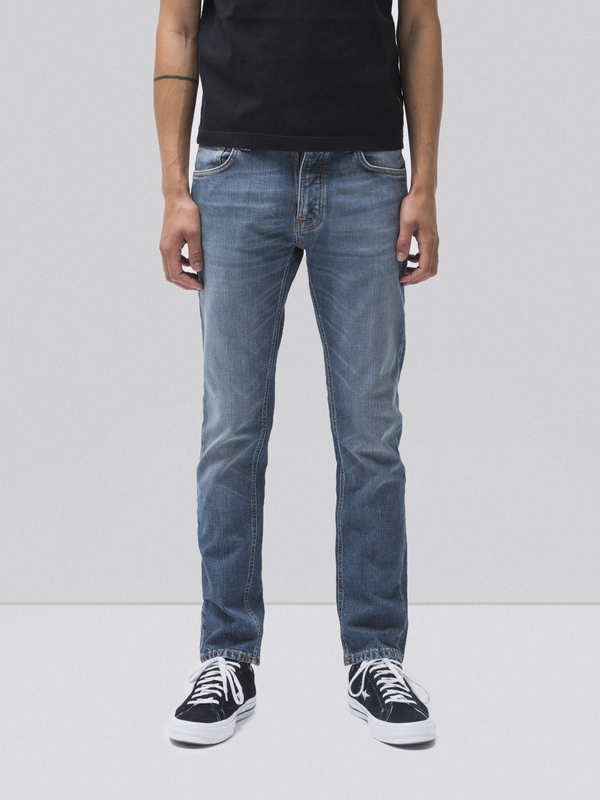 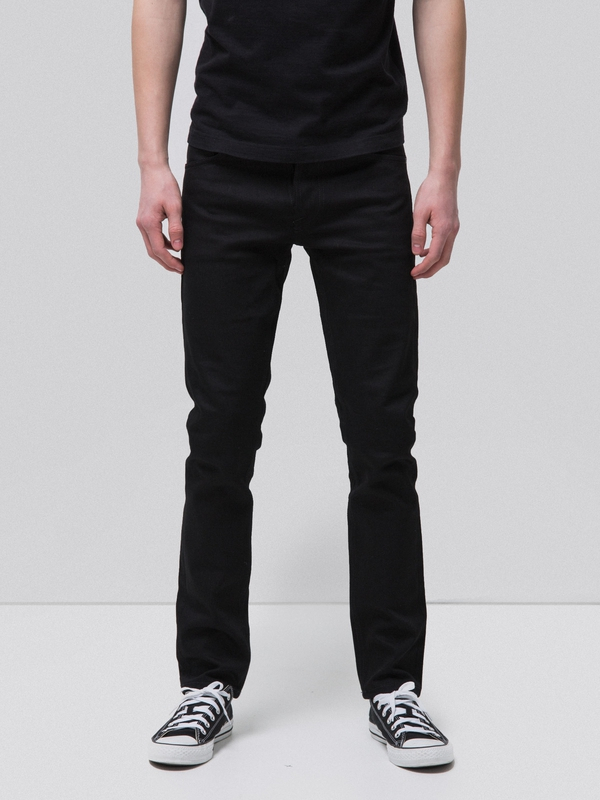 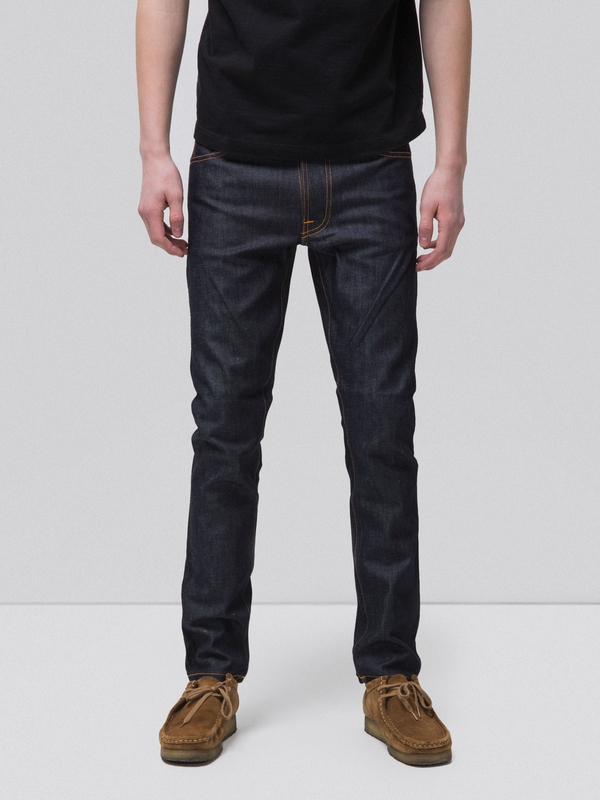 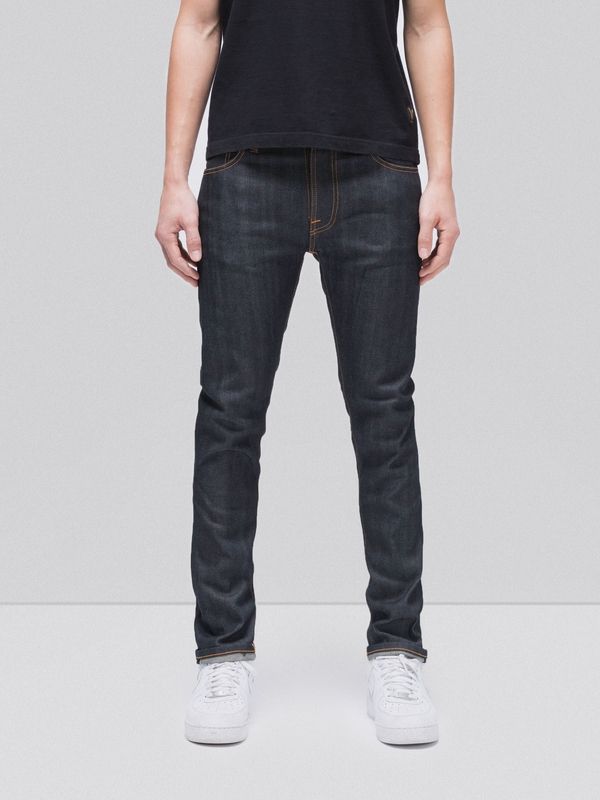 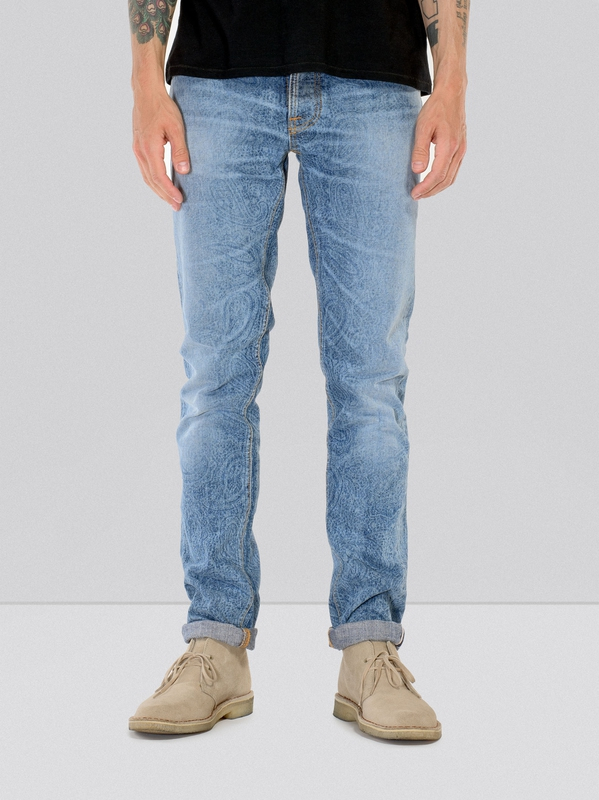 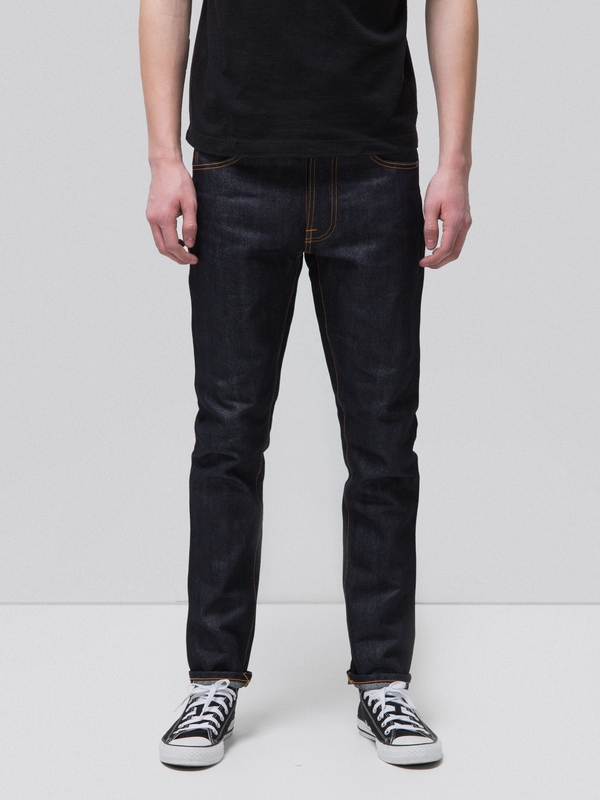 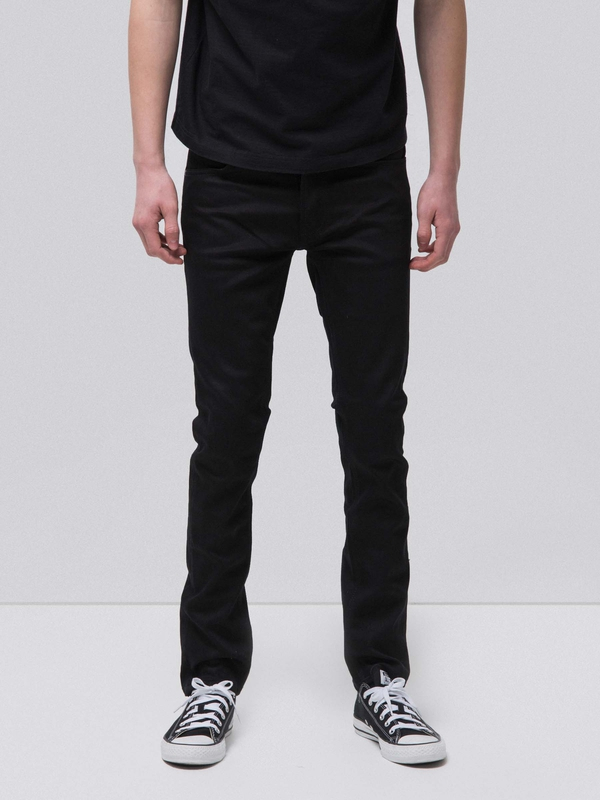 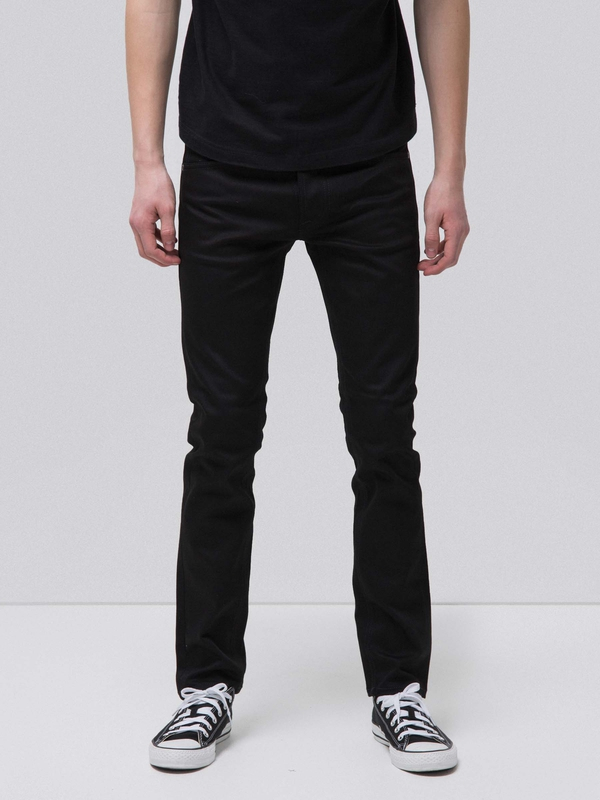 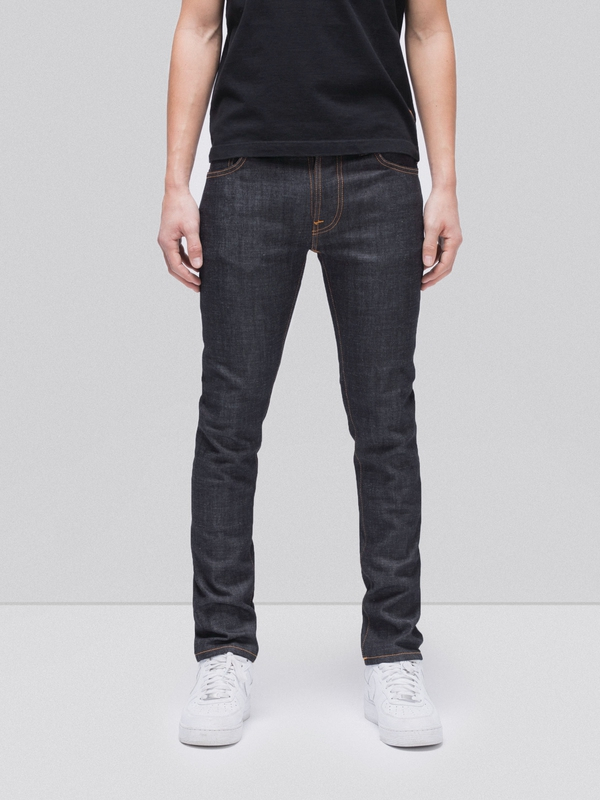 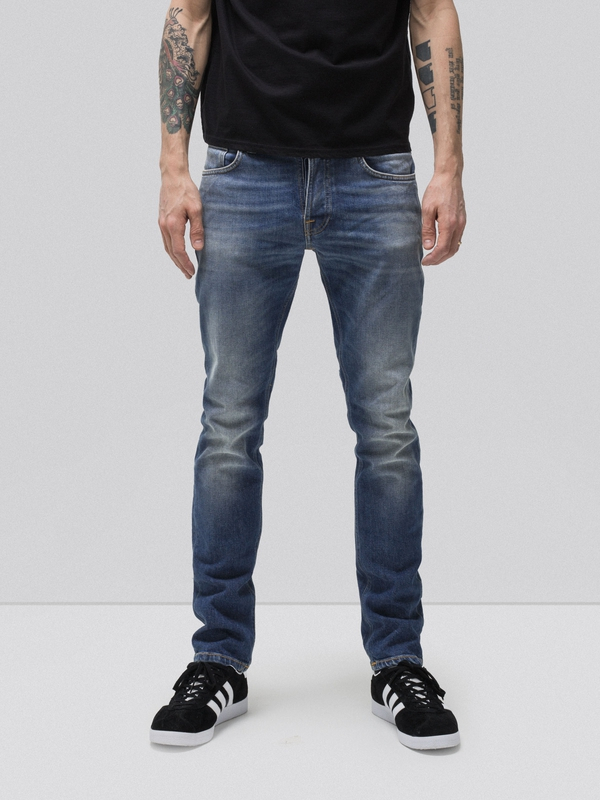 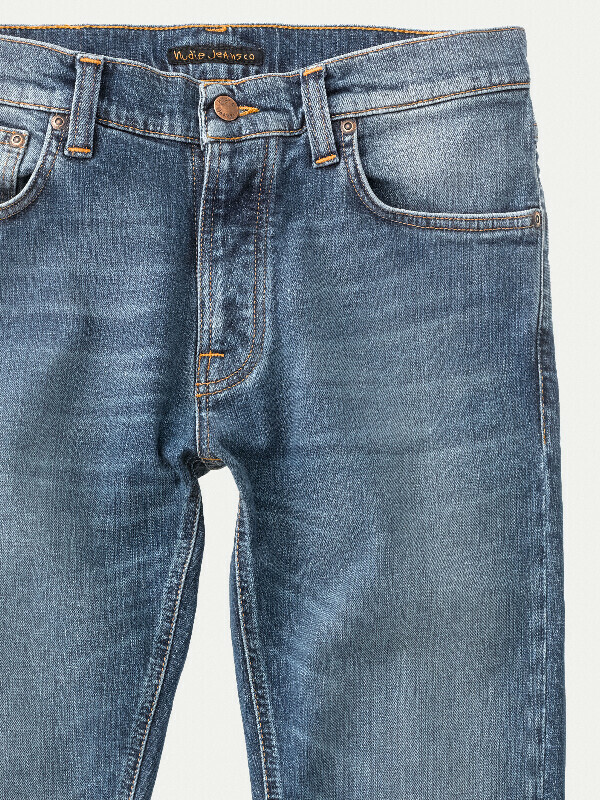 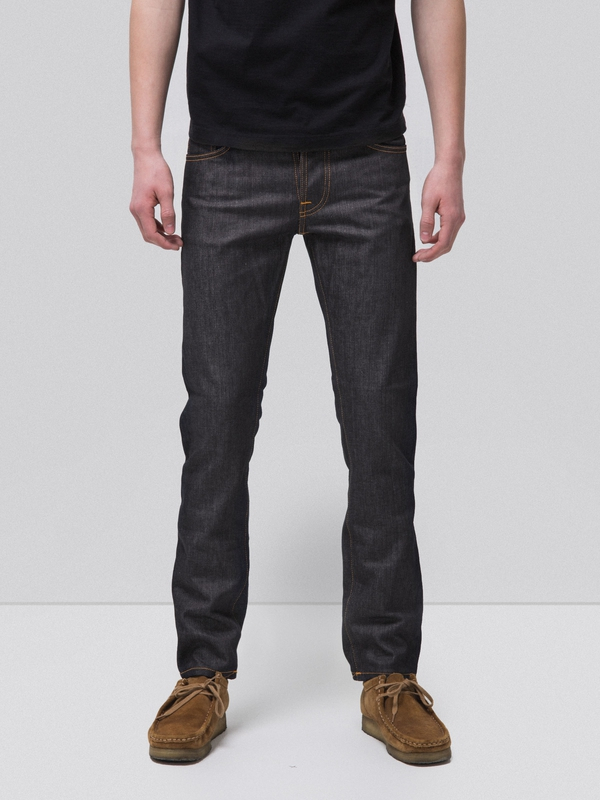 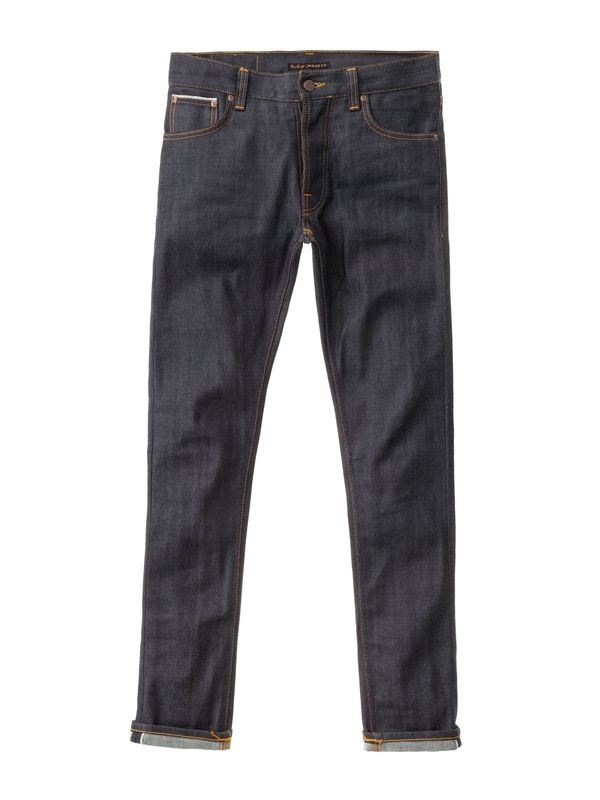 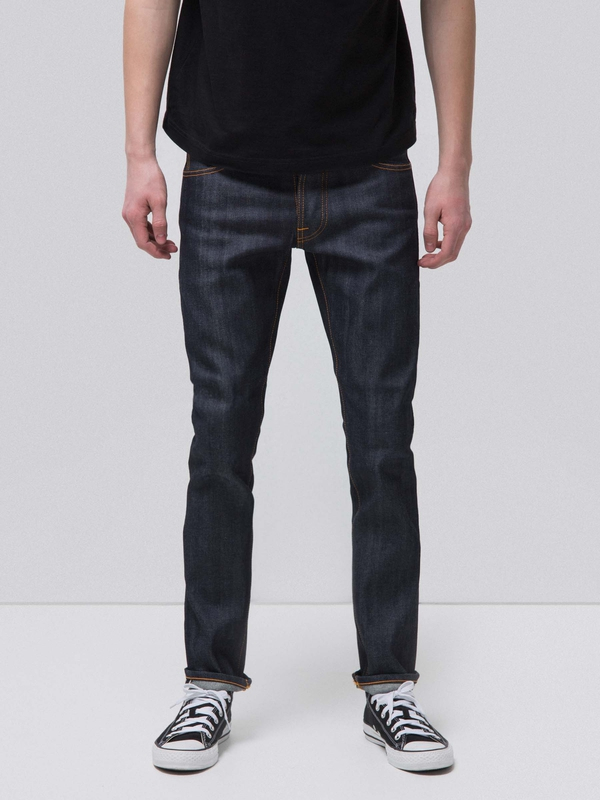 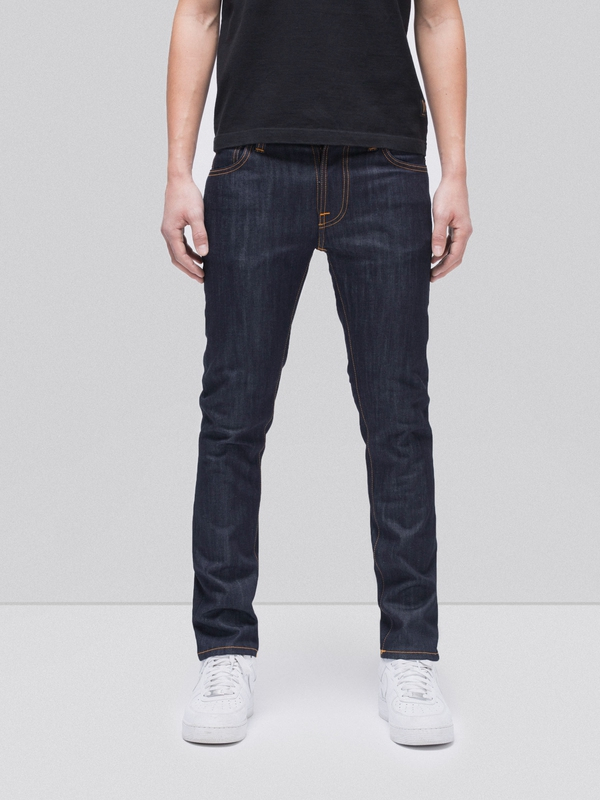 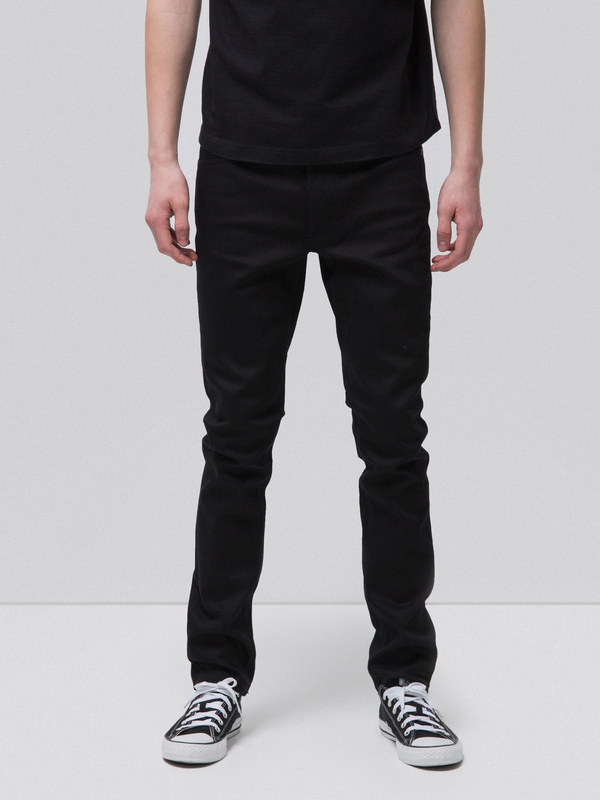 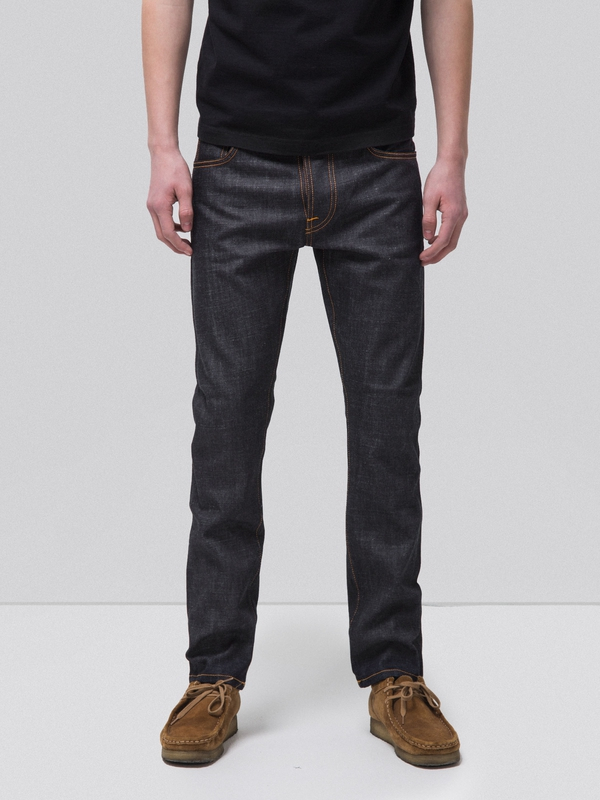 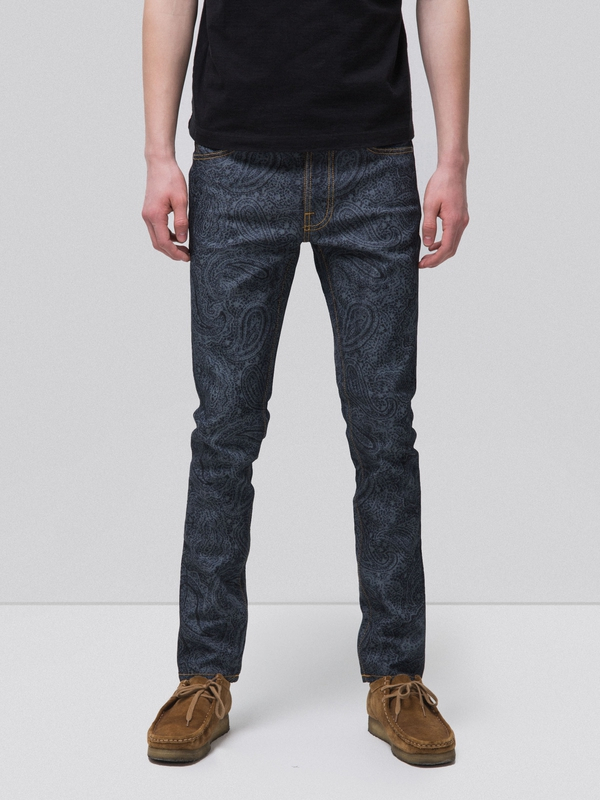 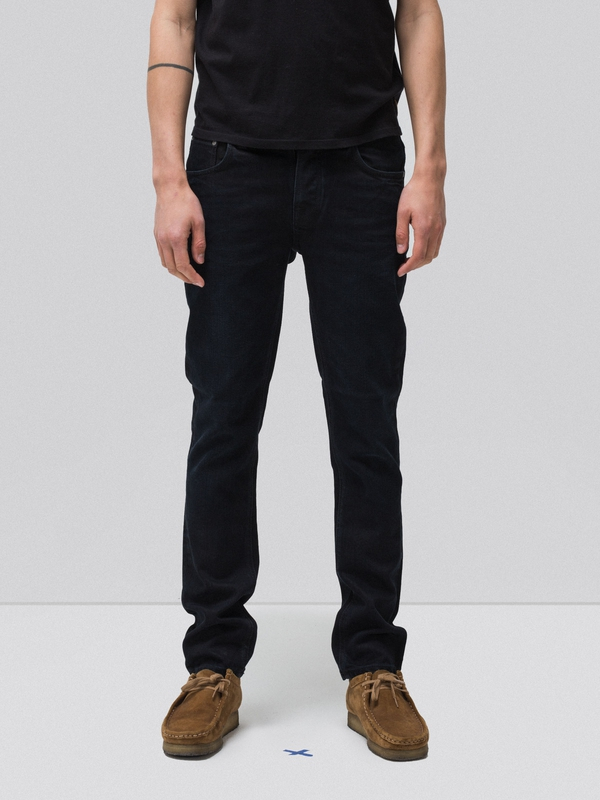 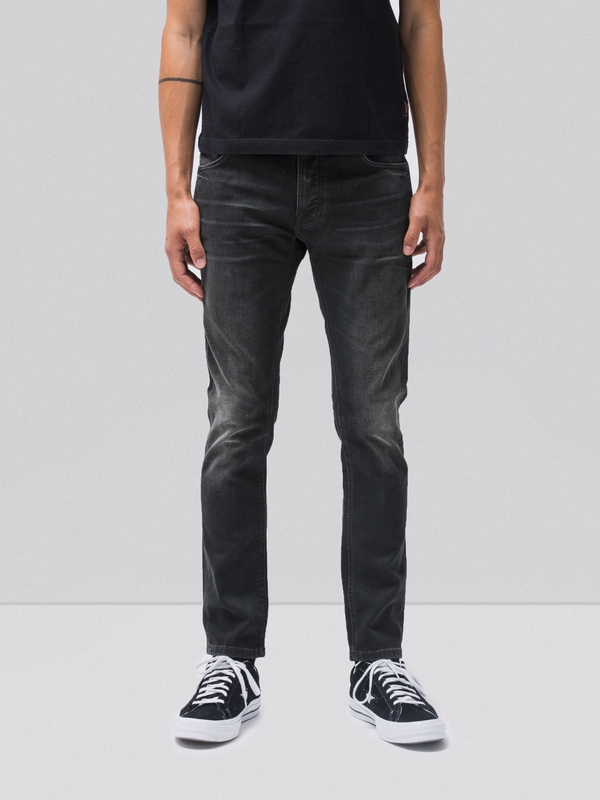 Jeans made in comfort stretch denim with cool, flat surface and streaky character from the ring spun yarns in the warp. 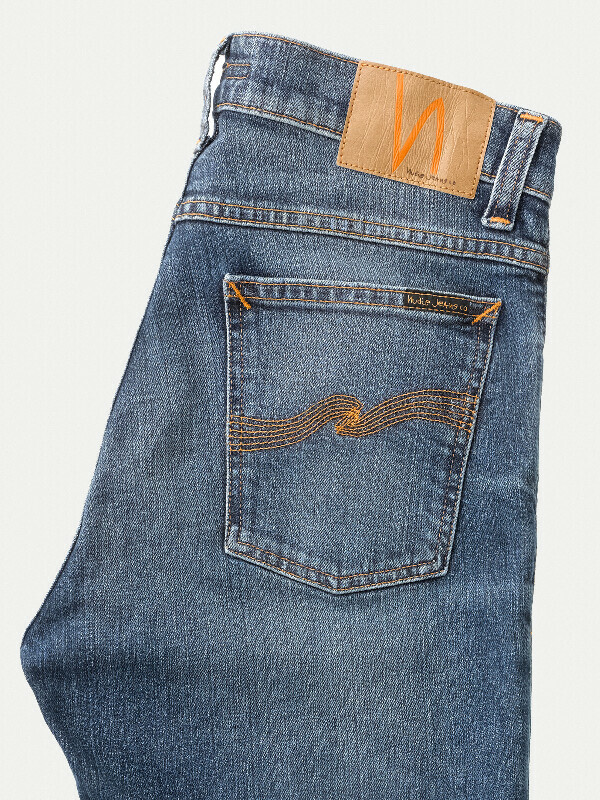 The original deep, dark color has been washed down to mid blue shade with red cast. 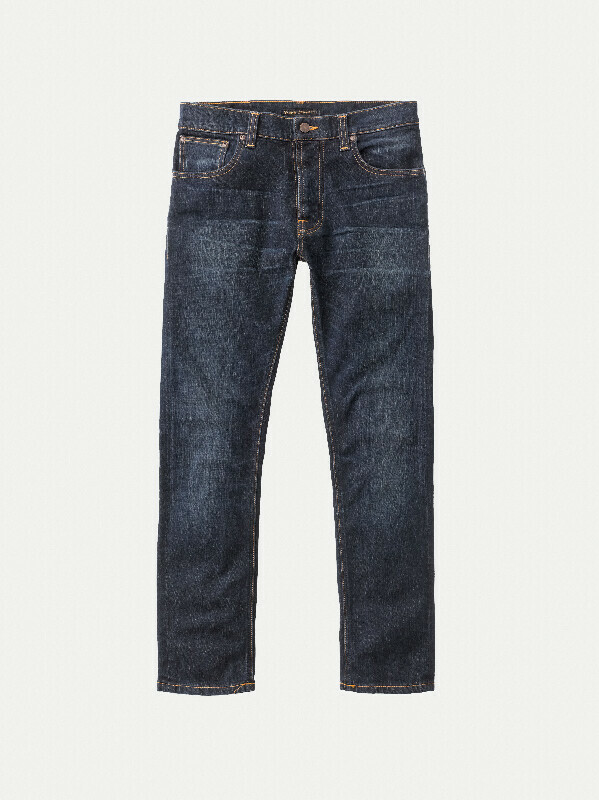 The wash is clean and crispy with soft abrasions.